At a Dead End with Research? We’re Here to Help! 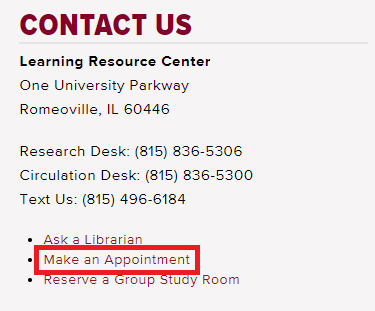 Just a reminder to anyone having a terrible Tuesday with seemingly endless assignments looming: you can schedule a one-on-one research consultation with a librarian! Sign up online or stop by the research desk in order to get some guidance on navigating the research databases. There are also subject-specific librarian liaisons that can assist you in whatever course requires a research-based report.